ST. GEORGE – There are better, cheaper alternatives to support the water needs of a growing population in Southern Utah, opponents of the proposed Lake Powell Pipeline told a crowd of concerned residents Thursday night. 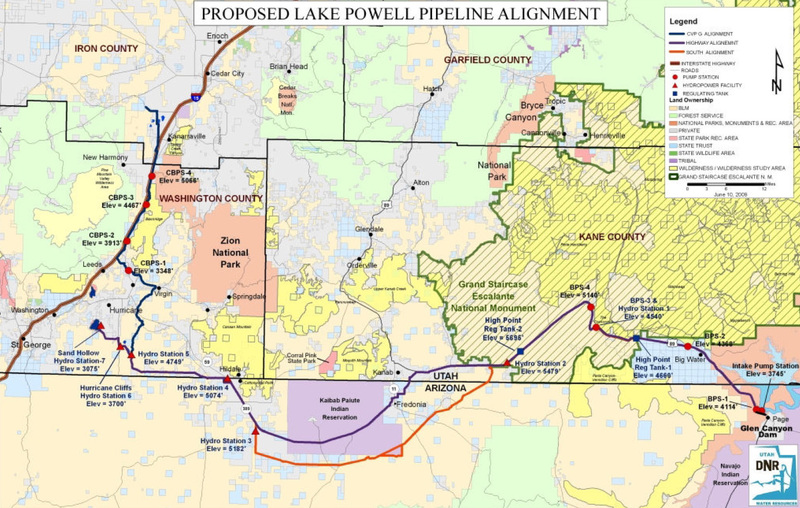 The proposed Lake Powell pipeline consists of about 139 miles of buried 69-inch pipe which could bring up to 86,000 acre-feet of water from Lake Powell to Washington and Kane counties. The pipeline would carry water from Utah’s share of the Upper Colorado River Basin Compact. Mann, along with Conserve Southwest Utah President Tom Butine, spoke to a group of about 40 people at the Lake Powell Pipeline informational meeting hosted by Conserve Southwest Utah and the Utah Rivers Council. 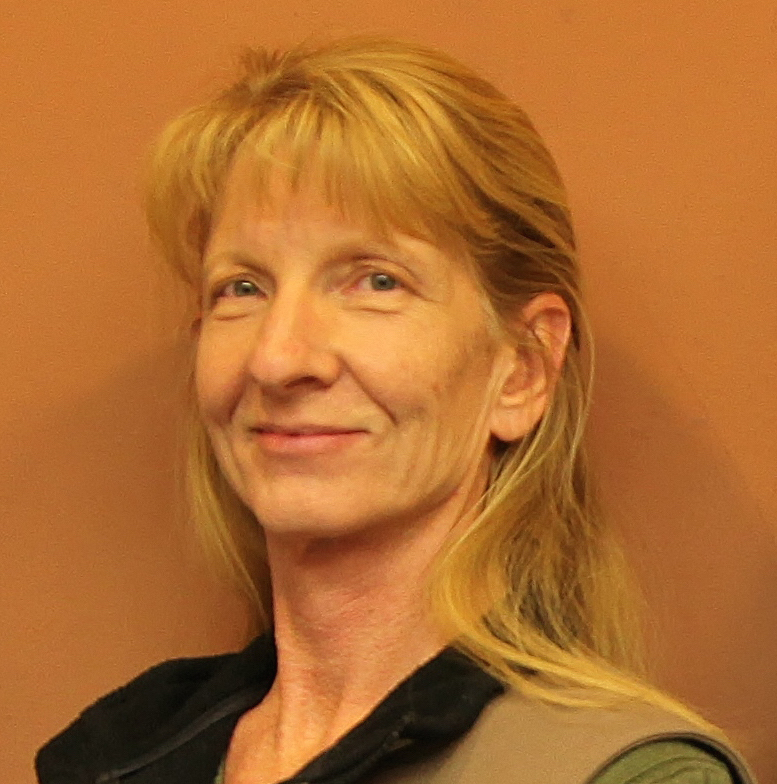 Butine said there are several critical questions the Washington County Water Conservancy District has refused to address. These include the cost range and how the pipeline will be paid for as well as the risk that there won’t be enough water in the Colorado River to fill the pipeline. 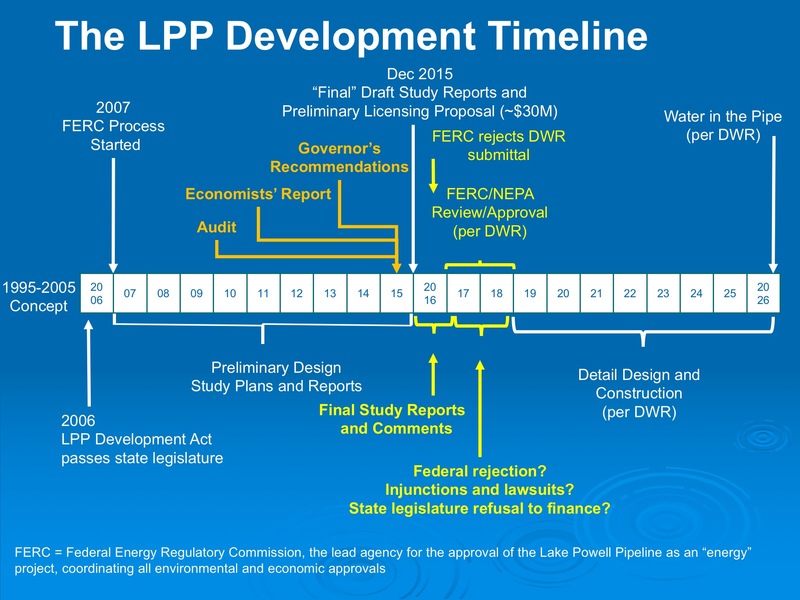 The water district has stated the current cost estimate for the preferred alignment is $1.4 billion and that the pipeline will be financed through the state as outlined in the 2006 Lake Powell Pipeline Development Act. Despite predictions by university economists that the pipeline would increase water costs and impact fees dramatically, water district officials say the project would only cause a “slight” increase. The county can support growth for several decades with reasonable conservation and better management of local water, Butine said. The Local Waters Alternative, developed by Western Resource Advocates and Conserve Southwest Utah, states that future growth in the county can be supported with reasonable conservation and better management of local water supply. The proposal focuses on three primary areas: conservation; water recapture and reuse; and changing how water is priced and paid for. Butine said that 80 percent of water in Utah is used for agriculture. Of the remaining 20 percent, which is culinary, or drinking-quality water, the vast majority – 80 percent of that culinary 20 percent – is used for landscaping. That means there is a lot of room for conservation through a variety of methods, Butine said, adding that studies show residents use about twice as much water on landscaping as is actually needed. With only moderate conservation, Conserve Southwest Utah projects the county would not run out of water until 2060 – or 2070 with more severe conservation, Butine said. However, the water district estimates that water from the pipeline will be needed much sooner – in the late 2020s or early 2030s, district spokeswoman Karry Rathje said. Washington County has some of the lowest water rates in the country, Butine said. The low rates do not reflect the actual cost of water because the water district is partially funded through property taxes, in addition to residents’ water bills. Conserve Southwest Utah supports eliminating funding the water district through property taxes so that water users see the true cost of water in their bill; pricing has been proven to be the No. 1 incentive for conservation, he said. It is estimated that Washington County uses about 300 gallons per person per day, Butine said – about twice as much as comparable communities in the Southwest. Information from the Washington County Water Conservancy District states there is no accurate way to determine how Utah’s water use compares with other municipalities because cities calculate water use differently and there is no national standard. However, opponents of the pipeline believe Washington County uses far more water per resident than other comparable areas. For example, University of Utah economist Gail Blattenberger said in an earlier interview that the gallons per person per day used by residents of Los Angeles, California, is 132, and in Tucson, Arizona, it is just 88. Other cities have had good success with instituting specific water budgets for individual properties, Butine said. Community education and support would help residents understand good watering practices. Once a water budget is implemented, water rates for going over budget would rise sharply and provide an incentive to water carefully. Landscaping codes, especially for commercial and institutional properties, could also help conserve water, Butine said. Another area that could be improved is water recapture and reuse; recycled water could be used for all outdoor irrigation, Butine said. Rainwater runoff is not captured locally either. Rathje said recycled water is already used for outdoor irrigation in many areas of Washington County and the county captures rainwater runoff in the Virgin River system. However, the district does not have the authority or infrastructure to capture rainwater runoff from private property. Agriculture water is converted to culinary use as farmland is sold for development, Butine said, and this will make more water available in the future. In addition, Utah agriculture is concentrated on low-value, high-water-use crops rather than growing local food. About 80 percent of water in Utah is used for agriculture, Butine said, although the amount of agricultural water use in Washington County is not clear. Current agricultural irrigation methods such as flood irrigating, overhead sprinkling and daytime watering are not efficient, he said. Washington County Water Conservancy District maintains that converting agricultural water to culinary water is not a straightforward proposition due to several factors. There are preexisting water rights that need to be respected and water quality issues, Rathje said. Agricultural water is reused many times as it travels down the system, Rathje said, and the return flows generate environmental benefits that would be eliminated if agricultural water was fully converted to municipal use. Conserve Southwest Utah thinks dependence upon the Colorado River for Southern Utah’s water needs is a risky proposition. The Colorado River may not have the capacity to deliver 86,000 acre-feet of water to the pipeline in the future, Butine said. The river’s estimated flow of 15 million acre-feet per year was based on 1922 levels. Climate studies predict a 10-30 percent drop in the river. If that happens, the river could average only 12 million acre-feet per year. In that case, Utah’s portion of the annual water allocation from the Colorado River would drop to 1.1 million acre-feet per year, below what the state currently uses. Water district officials, on the other hand, said climate change is one of the biggest factors supporting the Lake Powell pipeline. Washington County is currently dependent upon a single source of water: the Virgin River basin. During drought or climate change, Rathje said, tributaries of the Colorado River such as the Virgin River are the first to experience shortages. Even if the yield of the Colorado River declines, at least allocations drawn annually by its users will remain proportionate – a draw that could prove vital to Southern Utah, she said. “The county can support growth for several decades with reasonable conservation”. In the old days of conservation they only took baths once a year. Get our share of the water now or loose it to the states down stream. In a short time we will not be able to get the water. Another way to conserve is to stop all growth. If the Colorado River water right is as secure as Utah leaders think it is then it will be there decades from now when needed and when this county and state have grown to population numbers that can support paying. 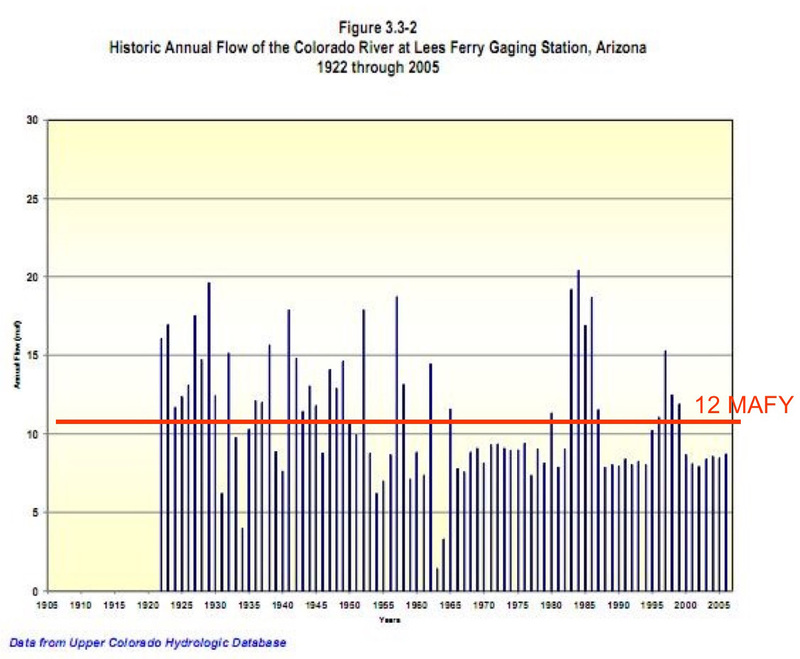 If it’s not that secure due to flows in the Colorado River becoming less and less, then it’s a moot point. Building a multi-billion pipeline when perhaps no water will be available to fill it is a fool’s errand.